When God calls on us, do we say ‘yes’ like Mary, no, or avoid responding? 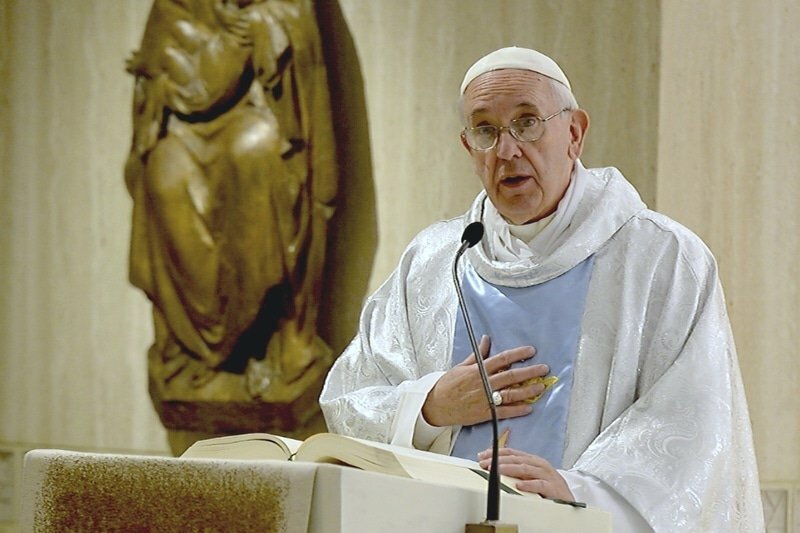 According to Vatican Radio, Pope Francis asked this during his daily morning Mass at Casa Santa Marta, the first since a break for Easter, and exhorted faithful to say ‘yes’ like Mary did. “The ‘yes’ of Mary,” the Pope said, “opens the ‘yes door’ of Jesus: ‘I have come to do your will’, the ‘yes’ that goes with Jesus throughout His life, even to the Cross.” Francis stressed that the ‘yes’ of Mary is the ‘yes’ of the whole history of salvation.